In recent years, research in the domain of reversible circuit design has attracted significant attention leading to many different approaches e.g. for synthesis, optimization, simulation, verification, and test. The open source toolkit RevKit is an attempt to make these developments publicly available to other researchers. For this purpose, a modular and extendable framework has been provided which easily enables the addition of new methods and tools. In this paper, we introduce the functionality as well as the internals of RevKit. We provide examples and use cases showing how to apply RevKit and its components in order to create and execute customized design flows. 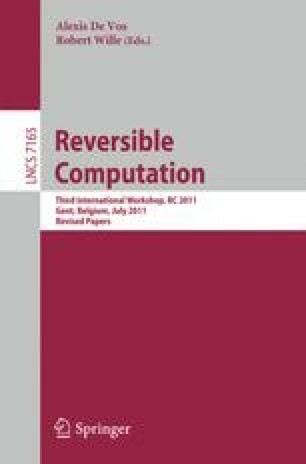 Furthermore, we demonstrate how the architecture and the design concepts of RevKit can be exploited to easily develop new or improved methods for reversible circuit design.